Today’s blog is written by camper Calvin F as part of the TP Journalism workshop. Calvin also took and edited the pictures (aside from the family photo below) that accompany this blog. Campers, cousins, fathers, and grandfather matriarch. 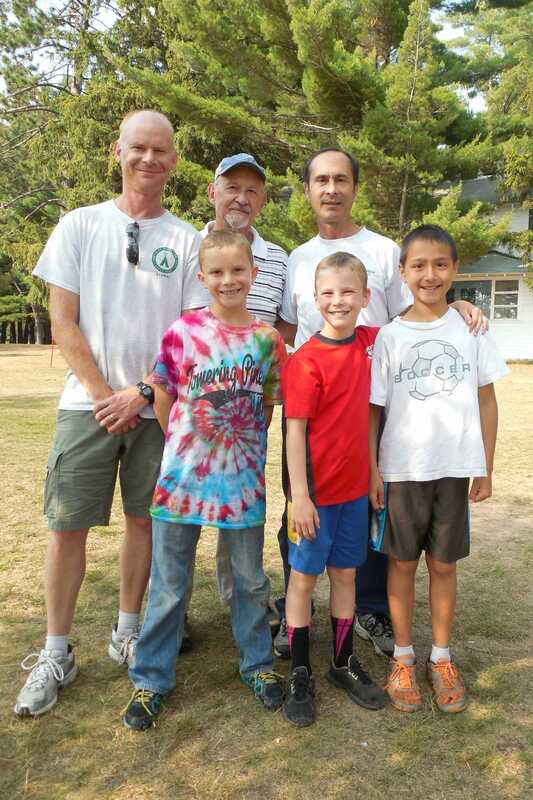 Towering Pines is a great family tradition for these cool gents. His grandfather and father are also TP alumni, which makes Calvin is third generation TP Man! 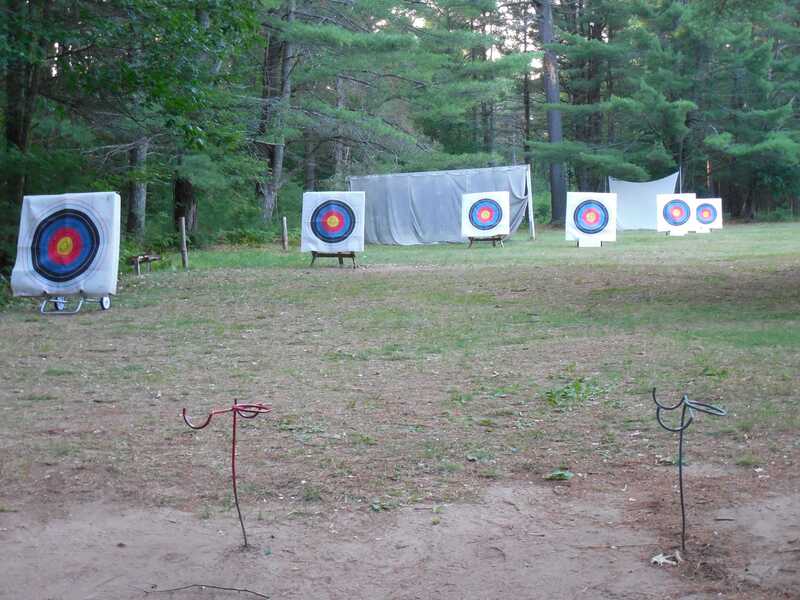 Archery ranks are based on a combination of scores and distance from the target. Calvin’s favorite camp foods are jambalaya and lasagna. His favorite event so far was the TP Fair when the ladies from Camp Woodland came to visit. Safety is an important part of TP archery. All the archery bows have names. My favorite bow is The Weakest Link. To stay safe, we wear armguards to protect our forearms from the bowstring. Some of us also wear finger guards to help us pull back the string. 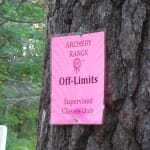 There are also archery nets and target bibs to protect the campers and equipment. 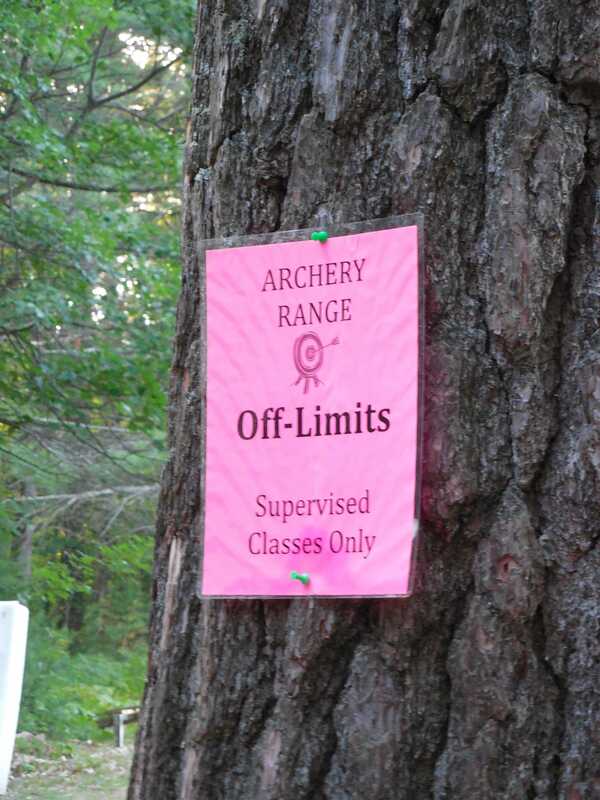 My archery counselors are Michael C and Mike P. They teach us the safety rules and how to shoot better. We have to follow their rules and range commands. This year I’ve passed several ranks in archery, Black Archer, Blue Yeoman, and Blue Bowman. 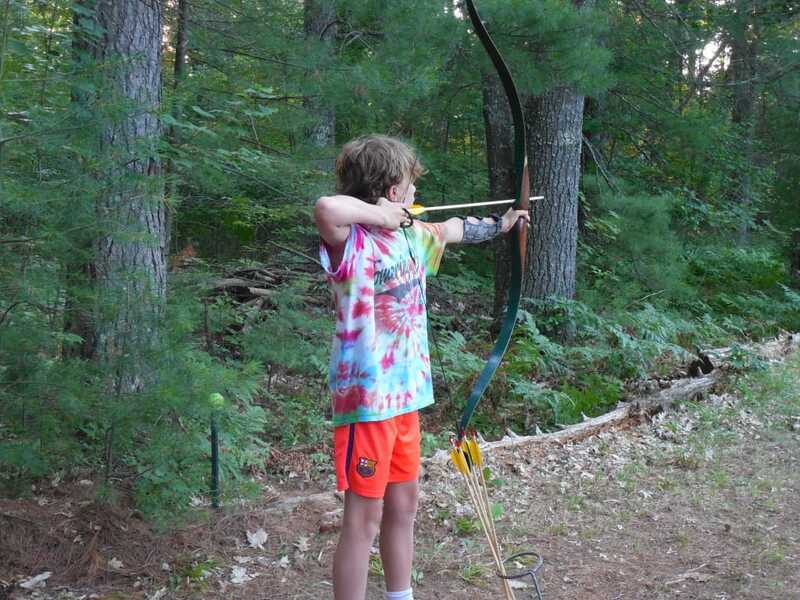 By the end of the summer I hope to earn my Blue Archer. Someday I plan to get to Gold Archer level. 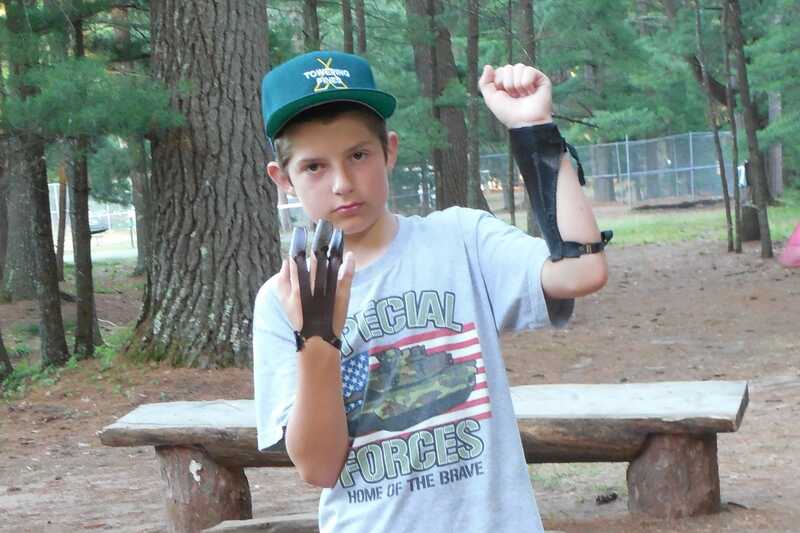 Fellow archer Ross C models protective gear: arm guard and a finger guard.